The Who are an English rock band formed in London in 1964. Their classic line-up consisted of lead singer Roger Daltrey, guitarist and singer Pete Townshend, bass guitarist John Entwistle and drummer Keith Moon. They are considered one of the most influential rock bands of the 20th century, selling over 100 million records worldwide. Cincinnati is a major city in the U.S. state of Ohio, and is the government seat of Hamilton County. Settled in 1788, the city is located at the northern side of the confluence of the Licking and Ohio rivers, the latter of which marks the state line with Kentucky. 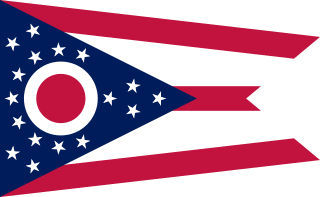 The city drives the Cincinnati–Middletown–Wilmington combined statistical area, which had a population of 2,172,191 in the 2010 census making it Ohio's largest metropolitan area. With a population of 301,301, Cincinnati is the third-largest city in Ohio and 65th in the United States. Its metropolitan area is the fastest growing economic power in the Midwestern United States based on increase of economic output and it is the 28th-largest metropolitan statistical area in the U.S. Cincinnati is also within a day's drive of 49.70% of the United States populace. 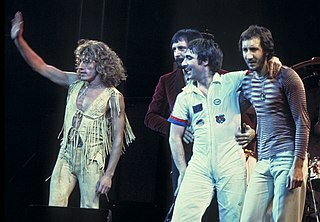 The Who were in the midst of the United States portion of their 1979 world tour, which began in September with a total of six dates split between the Capitol Theatre in Passaic, New Jersey and Madison Square Garden in New York City. The band then took some time off and would resume the tour on November 30 at the auditorium of the Detroit Masonic Temple. The Cincinnati concert was the third show played in this portion of the tour, after a concert the night before at the Pittsburgh Civic Arena. The Who Tour 1979 was The Who's first concert tour since the death of original drummer Keith Moon, supporting the Who Are You album and their film releases The Kids Are Alright and Quadrophenia. The Capitol Theatre was an entertainment venue located at the intersection of Monroe Street and Central Avenue in Passaic, New Jersey. Built in 1926 as a vaudeville house, the Capitol later served as a movie theater and a venue for rock concerts. Passaic is a city in Passaic County, New Jersey, United States. As of the 2010 United States Census, the city had a total population of 69,781, maintaining its status as the 15th largest municipality in New Jersey with an increase of 1,920 residents (+2.8%) from the 2000 Census population of 67,861, which had in turn increased by 9,820 (+16.9%) from the 58,041 counted in the 1990 Census. Passaic is the tenth most densely populated municipality in the entire United States with 22,000+ people per square mile. A soundcheck is the preparation that takes place before a concert, speech, or similar performance, when the performer and the sound crew run through a small portion of the upcoming show on the venue's sound reinforcement system or PA system to make sure that the sound in the venue's front of house and stage monitor sound systems are producing clear sound that is at the right volume and which has the correct mix and tonal balance. CBS Evening News is the flagship evening television news program of CBS News, the news division of the CBS television network in the United States. The “CBS Evening News” is a daily evening broadcast featuring news reports, feature stories and interviews by CBS News correspondents and reporters covering events across world. The program has been broadcast since May 3, 1948 under the original title CBS Television News, eventually adopting its current title in 1963. The program is anchored by Jeff Glor. Previous anchors have included Douglas Edwards, Walter Cronkite, Dan Rather, Connie Chung, Bob Schieffer, Katie Couric, Scott Pelley, and Anthony Mason. Walter Leland Cronkite Jr. was an American broadcast journalist who served as anchorman for the CBS Evening News for 19 years (1962–1981). During the heyday of CBS News in the 1960s and 1970s, he was often cited as "the most trusted man in America" after being so named in an opinion poll. Peter Dennis Blandford Townshend is an English musician and songwriter best known as the lead guitarist, second vocalist, and principal songwriter for the rock band the Who. His career with the Who spans over 50 years, during which time the band grew to be one of the most important and influential rock bands of the 20th century. In 2004, the city of Cincinnati permanently repealed its long-standing ban on unassigned seating, a move which has been criticized by some.[who?] A temporary exemption of the ban had been made for a Bruce Springsteen concert in 2002. The goal of lifting the ban was to attract more big-name acts. However, the city now mandates there must be nine square feet per person at a venue, and the number of tickets sold for each event is adjusted accordingly. The Showtime series Roadies dedicated an entire episode to the '79 event. The episode, "The City Whose Name Must Not Be Spoken", showcases the "roadies" of a fictional band completing many rituals after someone on the tour bus mentions Cincinnati. The Roskilde Festival is a Danish music festival held annually south of Roskilde. It is one of the largest music festivals in Europe and the largest in Northern Europe. It was created in 1971 by two high school students, Mogens Sandfær and Jesper Switzer Møller, and promoter Carl Fischer. In 1972, the festival was taken over by the Roskilde Foundation, which has since run the festival as a non-profit organization for development and support of music, culture and humanism. In 2014, the Roskilde Foundation provided festival participants with the opportunity to nominate and vote upon which organizations should receive funds raised by the festival. Red Rocks Amphitheatre is a rock structure near Morrison, Colorado, 10 miles (16 km) west of Denver, where concerts are given in the open-air amphitheatre. There is a large, tilted, disc-shaped rock behind the stage, a huge vertical rock angled outwards from stage right, several large outcrops angled outwards from stage left and a seating area for up to 9,525 people in between. At its height, the amphitheatre sits at 6,450 feet (1,970 m) above sea level, and the surrounding Red Rocks Park covers 868 acres. The amphitheater is owned and operated by the City and County of Denver, Colorado and is located in Red Rocks Park, part of the Denver Mountain Parks. U.S. Bank Arena is an indoor arena located in downtown Cincinnati, along the banks of the Ohio River, next to the Great American Ball Park. It was completed in September 1975 and named Riverfront Coliseum because of its placement next to Riverfront Stadium. The arena seats 17,556 people and is the largest indoor arena in the Greater Cincinnati region with 346,100 square feet (32,150 m2) of space. The arena underwent a $14 million renovation project in 1997. The current main tenant is the Cincinnati Cyclones of the ECHL. The Colonial Life Arena is a multi-purpose arena in Columbia, South Carolina, primarily home to the University of South Carolina men's and women's basketball teams. Opened as a replacement for the Carolina Coliseum with the name Carolina Center in 2002, the 18,000-seat arena is also host to various events like conferences, concerts, and graduation ceremonies throughout the year. It is the largest arena in the state of South Carolina and the eighth largest campus college arena. 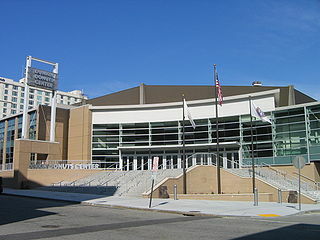 The Dunkin' Donuts Center is an indoor arena located in downtown Providence, Rhode Island. It was built in 1972, as a home court for the emerging Providence College men's basketball program, due to the high demand for tickets to their games in Alumni Hall, as well as for a home arena for the then-Providence Reds, who played in the nearly 50-year-old Rhode Island Auditorium. Current tenants include the Providence Bruins, of the AHL and the Providence College men's basketball team. The Cincinnati Masters is an annual outdoor hardcourt tennis event held in Mason near Cincinnati, Ohio, USA. The event started on September 18, 1899 and is the oldest tennis tournament in the United States played in its original city. In live entertainment, there are several possible schemes for the seating assignment of spectators. There are several schemes which are most commonly used, though there are no hard and fast rules and alternate or modified schemes are sometimes used as is suitable to the event. The Ozark Music Festival was held July 19–21, 1974 on the Missouri State Fairgrounds in Sedalia, Missouri. Today.com estimates that the crowd count reached 160,000 people. The festival was marked by mismanagement as the facilities were not equipped for the number of attendees. Pearl Jam is an American rock band formed in 1990 in Seattle, Washington. Since its inception, the band's line-up has included Eddie Vedder, Mike McCready, Stone Gossard, and Jeff Ament. Since 1998, the band has also included drummer Matt Cameron. Boom Gaspar (keyboards) has also been a session/touring member with the band since 2002. Drummers Jack Irons, Dave Krusen, Matt Chamberlain, and Dave Abbruzzese are former members of the band. The Binaural Tour was a concert tour by the American rock band Pearl Jam to support its sixth album, Binaural. The Riot Act Tour was a concert tour by the American rock band Pearl Jam to support its seventh album, Riot Act. WAQZ was the alternative rock FM radio station in the Cincinnati, Ohio area for the most part of 15 years, from 1991 to 2006. Throughout its history, the station was broadcast at 107.1 FM from 1991 to 1998, and it was broadcast at 97.3 FM from 2000 to 2006. The Riverbend Music Center is an outdoor amphitheater located in Cincinnati, Ohio, along the banks of the Ohio River. It has a capacity of 20,500 and was built for the Cincinnati Symphony Orchestra, to allow them to play in an outdoor venue during the summer months. Famed architect Michael Graves designed the building. The venue is managed by the Symphony subsidiary, Music and Event Management Incorporated and booked in conjunction with Live Nation. The Pearl Jam 2006 World Tour was a concert tour by the American rock band Pearl Jam to support its eighth album, Pearl Jam. The Pearl Jam 2005 North American/Latin American Tour was a concert tour by the American rock band Pearl Jam. The Vs. Tour was a concert tour by the American rock band Pearl Jam to support its second album, Vs. The Ten Tour was a concert tour by the American rock band Pearl Jam to support its debut album, Ten. It was the band's first full-scale tour after a short tour of the United States in 1991. The Simón Bolívar Metropolitan Park, best known as the Simón Bolívar Park, is a greenspace and entertainment and sports complex located in the middle of the city of Bogotá, Colombia. The Pearl Jam 2012 Tour was a concert tour by the American rock band Pearl Jam. The first leg of the tour consisted of thirteen shows in Europe, including a headling appearance at the Isle of Wight Festival. American punk band X were the opening band for the arena shows. Due to high ticket demand for pre-sale tickets, the third-party website handling the sale had to be taken offline. The Pearl Jam fanclub cited "an act of sabotage" to the site. For the second show at the Ziggo Dome in Amsterdam, a fan of the band created the setlist. "In Concert" is a very special episode of the television series WKRP in Cincinnati. Airing as the 19th episode of the second season, it was first broadcast in the United States on February 11, 1980, and the concept for the episode was described as "admirably ambitious" by William Beamon, writing in the St. Petersburg Evening Independent before he had viewed the episode. The plot is set around the real-life The Who concert disaster in Cincinnati of December 3, 1979, set within the context of the show's fictional universe, and was written, taped and aired within 11 weeks of that deadly disaster. ↑ Flippo, Chet (January 24, 1980). "Rock & Roll Tragedy : Why Eleven Died in Cincinnati". Rolling Stone issue No 309, front cover + pp 10-14 + 22-24.</. Retrieved August 8, 2015. ↑ Chertkoff, JM; RH Kushigian (1999). Don't Panic: The psychology of emergency egress and ingress. Praeger. pp. 79–83. ISBN 0-275-96268-7. 1 2 3 Grow, Kory (August 1, 2012). "Meet the Who Fans Who Found Their Cancelled 1979 Concert Tickets". SPIN magazine. Retrieved November 22, 2016. ↑ "Cincinnati Council Repeals festival seating ban". Enquirer.com. Retrieved June 5, 2013. ↑ "Cincinnati Enquirer, 8 August 2002 Bruce Springsteen Concert (editorial)" (PDF). Archived from the original (PDF) on March 6, 2012. Retrieved June 5, 2013. ↑ John Grant Fuller. "Are the kids all right? : The rock generation and its hidden death wish". Google Books . Retrieved June 5, 2013. ↑ Miles, Barry; Mabbett, Andy (1994). Pink Floyd the visual documentary. London: Omnibus. ISBN 0711941092. ↑ "Crowd Management Strategies". Crowdsafe.com. Archived from the original on February 15, 2003. Retrieved June 5, 2013. ↑ "Memories of Who concert tragedy linger". Cincinnati.com. December 2, 2009. Archived from the original on July 12, 2012. Retrieved June 5, 2013. ↑ "WEBN's 2009 retrospective of the event". YouTube. December 2, 2009. Retrieved June 5, 2013. ↑ "Pearl Jam The Real Me Cincinnati OH Oct 1 2014". YouTube. Retrieved April 4, 2017. ↑ Fricke, David (August 17, 2000). "Nine Dead At Pearl Jam Concert". Rolling Stone . Retrieved April 4, 2017. ↑ "Cranley promises Who concert marker in 2015". The Cincinnati Enquirer . December 4, 2014. Retrieved April 4, 2017.